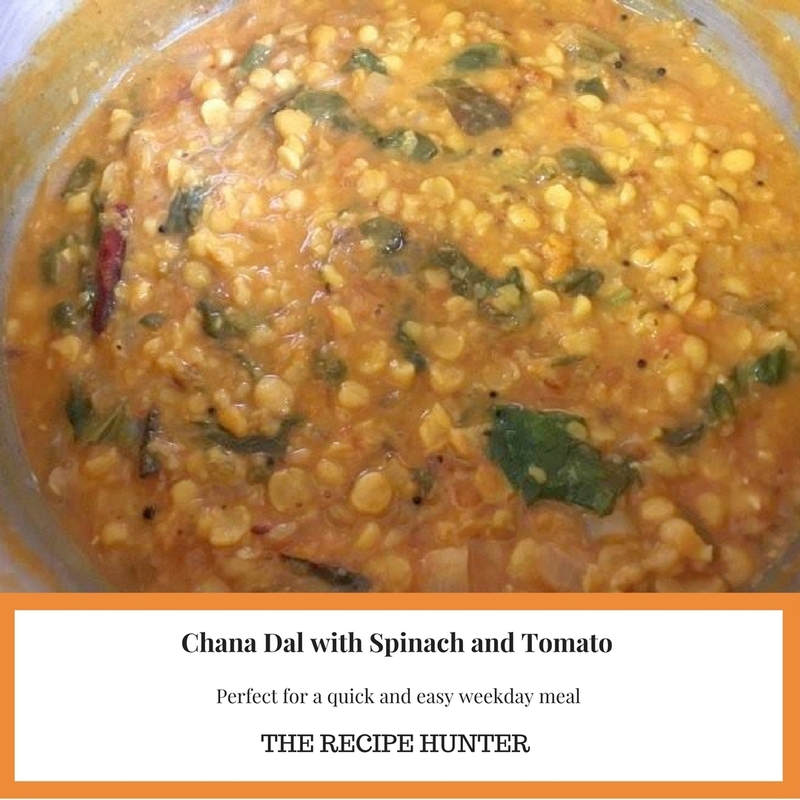 2 cups chana dal, boiled with a tsp turmeric powder until soft, drain and set aside. A handful of roughly chopped spinach. Add the Asafoetida powder and give it a stir. Add the mustard seeds and wait till the mustard seeds star to pop. Add the jeera seeds and dry chilies and allow the chilies to darken a little. Add the curry leaves, salt and onions, saute until the onions are transparent. Add the ginger and garlic and give it a good stir. Add the grated tomatoes and cook till the tomatoes are soft. Add the dal, spinach and about 2 cups of water. Allow cooking until the spinach starts to wilt. Add the turmeric powder, masala and give it a good stir. Carry on cooking till the dals gravy is to your liking.